Want to save some money while having a little fun? So do I, so I created this page that will serve as a resource for all of my favorite sites, apps and tools that I recommend. Most of these resources discussed below were compiled from me stumbling across them, trying them out and falling in love with! How do we learn anything in life if not by word of mouth and experimenting? 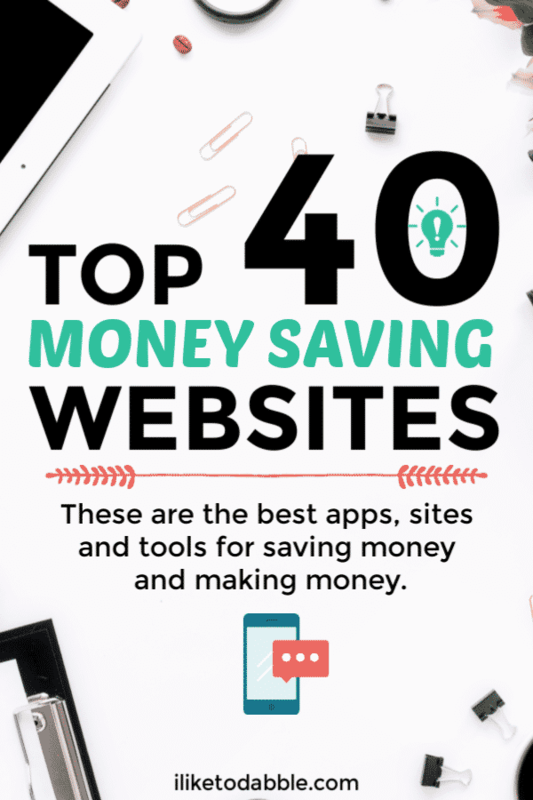 These were all not only extremely useful to me, but also helped me save a load of money, side hustle, get my finances in order, and help me run my blog! Disclosure: There are some affiliate links below, but these are all products I highly recommend. I won’t put anything on this page that I haven’t verified and/or personally used. You will get a discount when using these links, and I will get paid a percentage of your purchase. Along with these resources, check out my freebie resource library here. DoorDash: DoorDash is one of the easiest food delivery services you can work for. Earn more money in your spare time delivering food with your car, scooter or bicycle. DoorDash pays fast and you can get your first check in your first week. Host on Airbnb: You can either rent out a room in your house, an entire level, or your entire house as an Airbnb Host. Others on vacations, needing a different type of accommodation than hotels will then pay you for the time they use your property. This is a great way to make extra money passively. Turo: Turo is this amazing app that is basically the Airbnb of cars. That’s right, you get paid for others to rent out your car instead of those people renting cars from services like Enterprise or Hertz. Depending on the market value of your car you can easily make $100 extra a day just for letting other people drive your car. Sign up for Turo here. HealthyWage: HealthyWage will pay you to lose weight and get fit! You can participate in individual weight loss challenges where you set a specific goal and get paid when you reach that goal. There are also jackpot challenges where you compete as an individual or as a team and if you win you can split the jackpot, or step challenges where if goals are met you can split the pot of earnings. Rover: Rover is this amazing site used to find local dog sitters, walkers, boarding, etc. You can sign up here to become one of these dog walkers or sitters and earn up to $1000 a month or more. Rover makes it easy for you to accomplish this and more by promoting you to the nations largest network of pet parents. Magic Ears: You can teach online with Magic Ears and work from anywhere you want through their online teaching portal. You can be your own boss, making $26 an hour. InboxDollars: InboxDollars will pay you to read emails, take surveys, play games, complete offers and much more. You basically get paid to play around on your phone to pass the time when you are bored. Did I mention they pay you an additional $5 just for signing up? Read our InboxDollars review here. Nielsen: Nielsen will pay you for your internet usage. All you have to do is download their app and register your devices. It is noninvasive, will not impact your device’s performance and is 100% secure. Then you get rewarded for using the internet like you do any other day! I currently have it installed on all of my devices and it is nice for a little extra income. Cashback Research: Cashback Research is a research panel that will pay you up to $75 per survey and $150 per clinical study. Sign up with my link to get $5. Pinecone Research: Pinecone Research is a legitimate survey company that you will actually find surveys on that you qualify for. I can speak from experience. I have been able to find many surveys on here that I myself qualified for, completed and got paid for. They also send you free products sometimes too! Subscribe to get your free list of side hustles you can start this week! Claim your free list of side hustles + tons of helpful resources to get started! Success! Now check your email to confirm your subscription and grab your freebie! I love FlexJobs and heavily recommend this site for finding remote jobs. They guarantee that every single job posted is 100% legitimate. I know I can trust this site because not only was my own experience seamless but they also have an A+ rating with the Better Business Bureau. Feel weary for paying for a service like this? Don’t be! They have a money-back guarantee if you are unhappy with your experience on the site. Sign up today and get 50% off. Digit: I have saved over $2,000 with Digit alone. Digit automatically saves money for me based on my spending habits and scheduled bills. This unsettles some people that an app has access to their money like that but it uses 256-bit encryption so I know my data is secure. Trim: Trim will negotiate lower bills for you without you ever having to do a thing besides entering your bill and bank info when you sign up. Trim negotiated a savings amount of $17.40 a month on our AT&T bill. This will put us on track for a yearly savings of $208.80 just from lowering our cell phone bill with no consequence or loss of quality! Dosh: The Dosh app as all the perks of a cash back credit card without having to actually get one! Just link your current cards to the app and get cash back! No receipt scanning, no waiting for the bank to approve your rebate, nothing but instant cash back! Get a free $5 bonus upon signing up and linking your first card and read our review of the app here. HelloFresh: We get 3 meals a week for $30 for the first week and $60 every week after. I did extensive research when it came to meal delivery services to try and out of all of them, HelloFresh was the cheapest with most quality and with the most variety. We love HelloFresh, especially their Italian sausage orzo recipe! Get $30 off at HelloFresh with my link. $5 Meal Plan: Try meal prepping with $5 Meal Plan, a weekly meal plan service that can simplify your meal planning beyond belief for just $5 a month and for free for the first 14 days. If you have a specialized health need, they have several specialized meal plans to tailor to those needs too​. Swagbucks: You can earn money by shopping on swagbucks by using their links to retailers such as Amazon, Target and Walmart. It works much like cash back sites where they reward you for the purchases you make. You can either use the actual Swagbucks app and click through to your chosen retailers to get swag bucks and cash back or install a browser extension when you sign up that will show potential percentage cash back on any given website. Get a $5 credit if you sign up here. Sign up for the Swagbutton browser extension to save even more money on shopping through Swagbucks and get a free $10 bonus! Ibotta: I love getting cash back when scanning receipts with Ibotta from grocery shopping or any shopping, for that matter. I have gotten about $80 of cash back just from the past couple of months using the application. There is no way I would go back to regular shopping without it! Get $10 by signing up with this link. Amazon: Amazon is, by far, the best way to shop and save money. 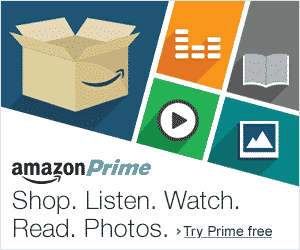 Try Amazon Prime 30-Day Free Trial or click the banner to receive a 30 day free trial of amazon prime to Instantly watch thousands of movies and TV episodes, borrow Kindle books and get unlimited FREE two-day shipping (no minimum order size). BeFrugal: Use cash back applications like BeFrugal when you order online for even a bigger payout of savings! Sign up for BeFrugal, get a free $10 today with this link and start getting cash back on all your online purchases! Ebates: Ebates is a website that gives you cash back for spending how you normally would online. 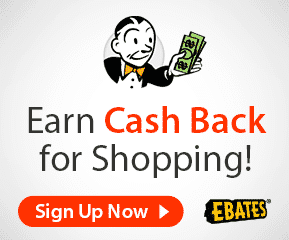 Ebates participates with basically every online shopping outlet so no matter where you shop online, you will get a load of cash back for your purchases. Sign up today and get a free $10.00 using my link. Ebay: Ebay is a great online service where you can buy designer products for a fraction of the price. What is even better is you can sell products too and make a little bit of side cash. I know people who make a living off of selling on Ebay. My wife sells about 2-5 guitars a month using Ebay and it has become a tremendous help in our finances. Sign up to get your free budget planner! Effectively manage your finances and grow your savings. Success! Now check your email to get your free planner! Swell: Swell is all about impact investing. They invest your money in high growth companies solving global challenges. There are a combination of portfolios that you can choose from including Renewable Energy, Green Tech, Zero Waste and more. Acorns: With Acorns you can set aside spare change and extra cash as you go about your day with Round-Ups and Recurring Investments. Save for retirement and sit back as you watch your money grow over time. Register for Acorns with this link and get a $5 bonus to start investing with! Stash: Stash consists of ETF’s for a minimum investment of $5. You automate your daily, weekly or monthly investment, track your retirement and tons more. Get $5 of Stash today with my link. Personal capital: Personal Capital is one of the best 100% free finance tracking apps with no hidden fees. What makes Personal Capital so great is that it syncs your spending, saving and investing all in one app. Airbnb: Airbnb is a cheapest, easiest and most fun way to travel. This link will give you $40.00 in travel credit which is more than enough to cover your first stay, where ever you chose to go! If you have your doubts about the application, check out my review of Airbnb here: 10 Unknown Airbnb Hacks You Have To Try. Uber: Uber is the most helpful service I have probably ever used. Everyone has heard of Uber since it has blown up over the past couple of years. It is not only cheaper than taxi cabs, but it is also easier to use, more enjoyable, and saving drunk drivers and lost tourists across the globe. Sign up for Uber using my code ‘daniellaf473ue‘ and get free rides up to $10.00. Spent Travel: If you book car rentals or flights using this new app Spent Travel, you can get cash back on all your travel transportation plans. Groupon Travel Packages: Groupon has some of the best deals I have seen for travel packages that include airfare and transportation and many of the packages are even all inclusive. That means you can book your entire trip through Groupon. I have seen 10 day international packages for as low as $500 on the app! Expedia: With Expedia, you can bundle your flight, rental car and hotel accommodations for a fraction of the price if all bought separately. With every purchase you make through Expedia, you can earn points to go towards future travel. I currently have $40 credit pending to use on future travel from purchasing a rental car on our Pacific Coast Highway road trip. Read all the ways you can save money with Expedia here: Expedia Travel Hacks To Save More Money. Stubhub: When traveling for concerts, Stubhub is a must. Many cities have free concerts that go on periodically. For this purpose, StubHub has a section of their site and apps called ‘Absolutely Free Tickets’. Using this section you can easily score yourself some free concert tickets. Check here to see what tickets are available for free in your neck of the woods. YourParkingSpace: YourParkingSpace connects drivers with parking space owners across the UK. You can rent out parking spaces hourly, daily, weekly or monthly using their site and even list your own parking space for extra side money. If you are going on a trip to the U.K. soon and need parking, it is the perfect alternative to airport parking or near train and bus parking. Sign up to get your free travel budget planner! Enter your email and we will send it straight to your inbox! Success! Now check your email to get your free travel budget planner! 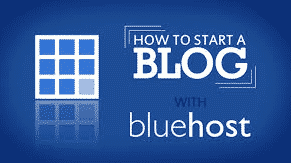 Bluehost: Bluehost is one of the largest and most trusted web hosting services powering millions of websites. If you sign up for Bluehost through my link, you can receive premium hosting for only $2.95/month. Have an idea of a unique domain name in mind? You can search for it’s availability here. Follow along on this step-by-step post to get started: How To Create A Self Hosted WordPress Blog. 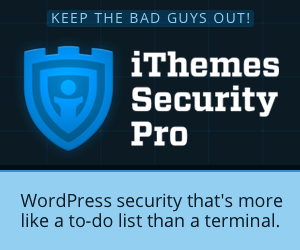 iThemes: iThemes offers premium themes and plugins geared towards optimization and security. I personally use their security plugin and absolutely love it. 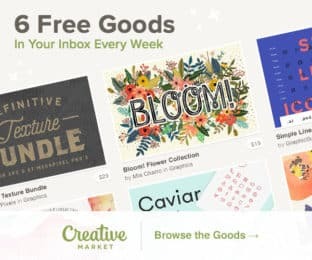 Creative Market: Creative Market offers everything for everyone. They literally do, they have site templates for all CMS systems in addition to WordPress, such as Tumblr, Joomla and Droopal. They also offer fonts, design templates/pdf’s, images, themes, plugins, frameworks, code, you name it. Sign up today and get some freebies monthly as you browse their product repository. Warning: this one is addicting. Adobe: Adobe the best for the artist at heart and for the creative developer at heart as well! With my link, you will get 10 free stock images along with a tree trial to use the Adobe Creative Cloud. Elegant Themes: Elegant themes has some of the best themes available for WordPress. Get the coolest theme out there said to be the future in WordPress themes, Divi. Divi revolutionizes the way you build your pages. 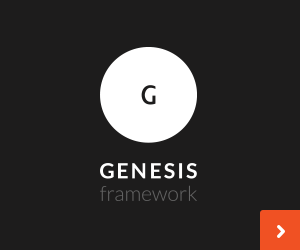 Genesis: Genesis is the most popular framework used by professional bloggers. Genesis comes from StudioPress, who develops some of the best themes in terms of design and SEO. P icMonkey: I use Picmonkey to edit all of my stock images. 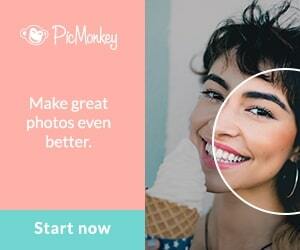 Picmonkey is easy to use and works wonders when optimizing images for social media and most importantly, Pinterest. When you sign up using my link, you get a free trial! Tailwind: Tailwind is what I use to schedule my Pinterest posts, participate in Tailwind tribes to gain more exposure and measure my performance with their analytics. Tailwind has helped me skyrocket the traffic from Pinterest to my blog and expand my audience. Sign up here for the free trail! Making Sense of Affiliate Marketing: My favorite course for monetizing your blog with affiliate links, plus TONS of bonus learning content! Michelle (the creator of this course) earns over $50,000 a month through affiliate marketing and shares er exact strategy and tips in this very informative online course. If you’re a blogger (even if you’re a new blogger! ), then you NEED this course. Convertkit: I use Convertkit for my email list, opt ins, landing pages, etc and love it. I have yet to have any issues with the service. I especially love the way I can easily set up sequences and organize my subscribers by what they signed up with when sending out broadcast emails. In this free 5 day email course, I show you everything from creating your blog from scratch, to SEO keyword research strategies, basic branding, creating an email list, social media strategies and monetization strategies to start making money from day 1! Sign up for the newsletter to receive regular updates and get instant access to the free course. Success! Now check your email for day 1 of the course! Iliketodabble.com is a participant in the Amazon Services LLC Associates Program, an affiliate advertising program designed to provide a means for us to earn fees by linking to Amazon.com and affiliated sites. Read the full disclosure here.